HomeReviewsMoviesYou Call That DANCING LADY? You Call That DANCING LADY? Contributor Jacquie Allen is mystified over the Joan Crawford vehicle, Dancing Lady. Joan Crawford‘s vehicle Dancing Lady (1933), a romantic musical, is one of many early showcases for her talents as not only an actress, but also as a singer and a dancer. She stars as Janie Barlow, an aspiring Broadway dancer who gets “discovered” by affluent Tod Newton (Franchot Tone) after a burlesque show she’s in (this is pre-code, after all) gets busted by the cops. Smitten, Newton bails her out of jail and sets her up with an audition for a Broadway show, directed by Patch Gallagher (Clark Gable). Despite the fact that her tryout was won in slightly shady ways, she impresses Gallagher and the producers enough to be cast in the chorus line. After her work ethic and dedication earns the respect of the temperamental Gallagher, Janie is quickly given the lead in the show, aptly titled “Dancing Lady.” But Newton wants her to leave dancing so he can marry her and plots to sabotage the production by getting rid of its funding. His plan is foiled when Gallagher puts up his own money to keep it going and Janie finds out about the scheme just in time to reclaim the lead role. At the time it was made, movies were jam-packed with comedy routines, song-and-dance numbers, and melodrama – and Dancing Lady is no exception. Knowing that, and that it may just be a sign of the times, I found the film to be tonally awkward. 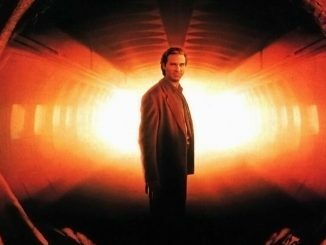 It constantly bounces between elements of several genres, which made it a frustrating watch. The plot moves much too quickly – there’s no real drama or tension, the characterizations are thin, and the big musical number toward the end is, by present day standards, poor. While this could be contributed to anything from a rushed shooting schedule, a lack of rehearsals, or shoddy choreography, it’s incredibly unfortunate. While the film is problematic in many ways, there is one bright, shining light at the end of this tunnel, and that is just how rich the movie’s behind-the-scenes history is. 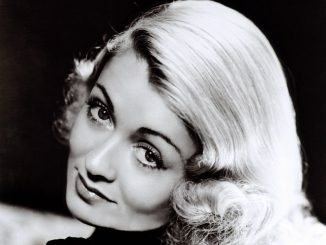 I feel a bit like Hedda Hopper saying this, but let’s begin with the juiciest details: Crawford was, for lack of a better word, a “man-eater.” Married to Douglas Fairbanks, Jr. at the time, she was knee deep in what would become a years-long affair with co-star Gable. 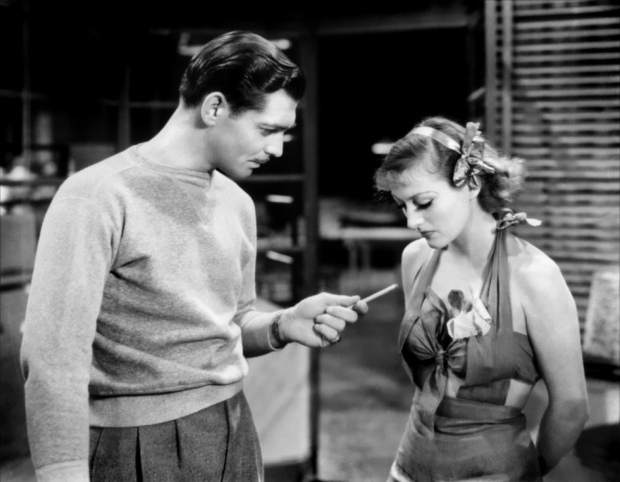 Between 1931 and 1940, she and Gable made eight films together, this being the fourth. 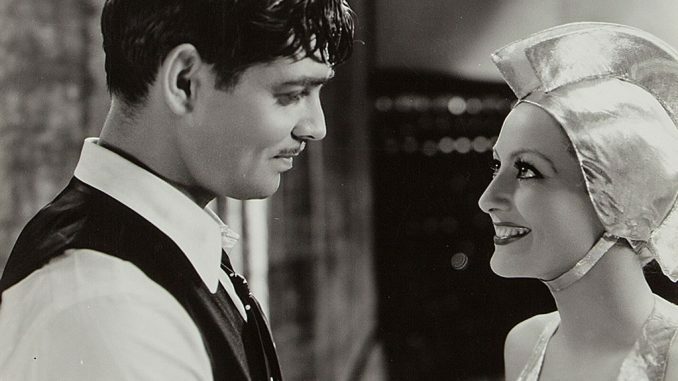 Later in life, she would proclaim that Gable was the only man she ever truly loved; yet for some reason, their relationship never progressed beyond extramarital trysts. In a bit of a real-life twist, this was also the second of seven films Crawford would make with Franchot Tone, who would become her second husband two years later. No one knows if her affair with Gable continued during her marriage to Tone, while he was deeply in love with his wife Carole Lombard, but to hear it from Crawford, it would seem somewhat likely. Dancing Lady counts as Fred Astaire’s film debut, the first time his infamous top hat and tails were seen, and gave Crawford the dubious honor of being his first on-screen dance partner. Other early screen appearances are made by Nelson Eddy, Eve Arden, and The Three Stooges. Released as an MOD DVD by The Warner Archive Collection, the film looks beautiful, with care taken in updating its picture and sound quality. 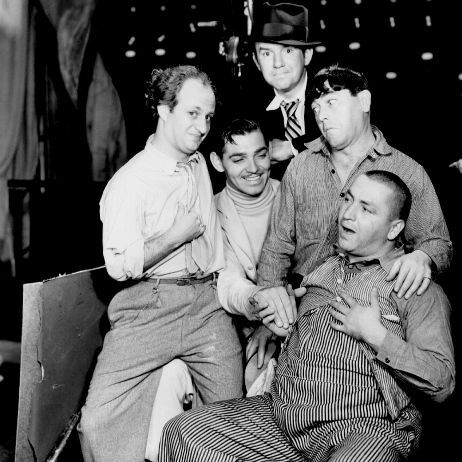 Special features include two musical shorts featuring members Ted Healy and his Stooges: Plane Nuts and Roast Beef & Movies, as well as a theatrical trailer.